Help! My Tooth Got Knocked Out, What Do I Do? As an emergency dentist, we treat a lot of dental emergencies. Among the top dental emergency we treat are knocked out teeth. Having a tooth knocked out is a scary and traumatic experience. When you have a tooth fall out from injury or trauma, you need to act quickly. While most people believe once a tooth is knocked out, that’s it, there’s no saving the tooth. But, this isn’t true. If you act quickly and head to our office immediately, we may be able to successfully reinsert the tooth. When the proper steps are taken during the emergency, there’s a higher likeliness we will be able to save the tooth, allowing it to survive for many years to come. The American Association of Endodontists estimates roughly 5 million teeth are knocked out each year. When the right steps are taken immediately after the tooth has been knocked out, it can often be reinserted back into the socket. However, the success of reinserting the tooth relies on your ability to respond to the situation quickly. In addition to the proper care immediately after a tooth has been knocked out, you must get to your emergency dentist within 30 minutes of the injury to have the tooth reinserted. If you’ve had a tooth knocked out, the first thing you need to do is calm down. Pick the tooth up by the crown (the chewing surface). This is important so you don’t cause an injury to the tooth’s root. Then, you’ll want to gently rinse off the tooth, but you need to be very careful doing so. Don’t use any chemicals or soaps and do not scrub the tooth. While instinct tells you to dry the tooth, don’t dry the tooth or wrap it in a cloth or towel. You need to keep the tooth moist. If you’re able to, try to stick the tooth back into the socket by gently positioning it and pushing the tooth in. If you’re able to get the tooth in, hold the tooth in place and head to our office. If you’re not able to reinsert the tooth, it’s best to place the tooth in an emergency tooth preservation kit. However, most don’t have the kits on hand. If you don’t have the kit, place the tooth in a cup of milk. If you don’t have any milk on hand, place the tooth in your mouth next to your cheek. The key is to keep the tooth moist. When you’ve had a tooth knocked out, you need to be at your emergency dentist within 30 minutes. Call us right away so we can get you into our office quickly to save your tooth. At Premier Walk-In Dental, we’re here for you to treat your dental emergency quickly. We offer immediate walk-in care with same-day dentistry procedures to protect your beautiful smile. 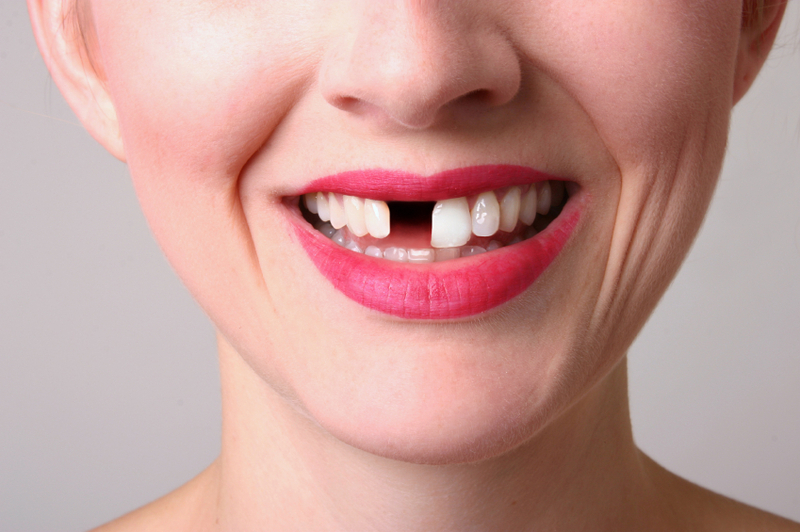 If you’ve had a tooth knocked out, please call our office right away at (321) 631-4334. We’re here to help.